Forged from the Earth, 2016. Bronze 18 × 9 × 9 in. Courtesy of Crystal Bridges Museum of American Art, Bentonville, Arkansas. We are delighted to announce that the Archives of American Art has been selected as the inaugural recipient of the Don Tyson Prize from the Crystal Bridges Museum of American Art (opens in new window). The prize recognizes significant achievements in American art, as selected by a prestigious national jury of art historians and museum professionals. The Don Tyson prize recognizes the Archives for "advancing knowledge in the field of American art since its establishment in 1954." Along with the enormous honor of this recognition, the Archives will receive a generous contribution of $200,000 to support its work. In 2012, the Tyson Family made a $5 million gift to Crystal Bridges to establish and endow the Don Tyson Prize. 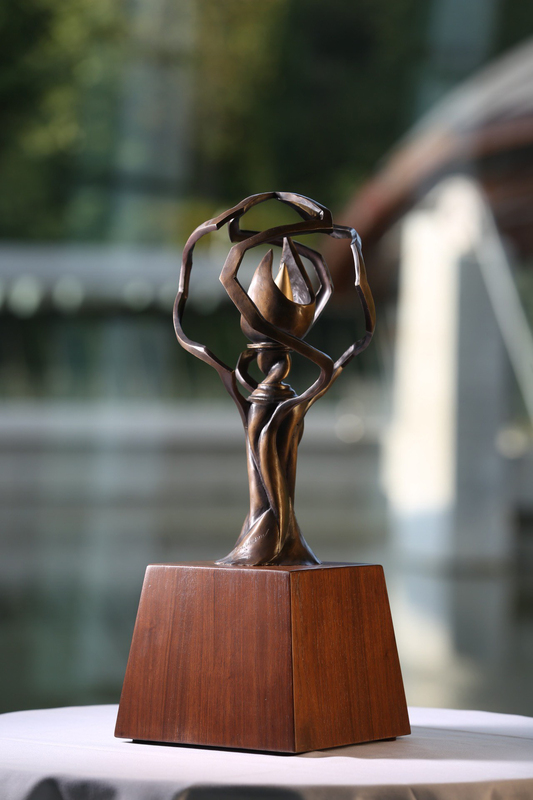 The prize honors the legacy of the late Don Tyson, former chairman and CEO of Tyson Foods, who was a lover and collector of American art, a passion which he passed down to his son, John Tyson, who is a member of the Crystal Bridges' board of directors. John Tyson and Crystal Bridges Board Chair Alice Walton will present the prize to Kate Haw, the Director of the Archives of American Art, and the Archives staff on October 21 in Washington, DC.